Oprah showed how dramatic his transformation for internet entrepreneur, Gurbaksh Chahal. In the before pictures, she showed a tiny Indian kid with a turban, who was picked on by other kids and how’s family struggled financially. In the after shots, she showed an adult with a stunning penthouse, hot car and confidence to spare. 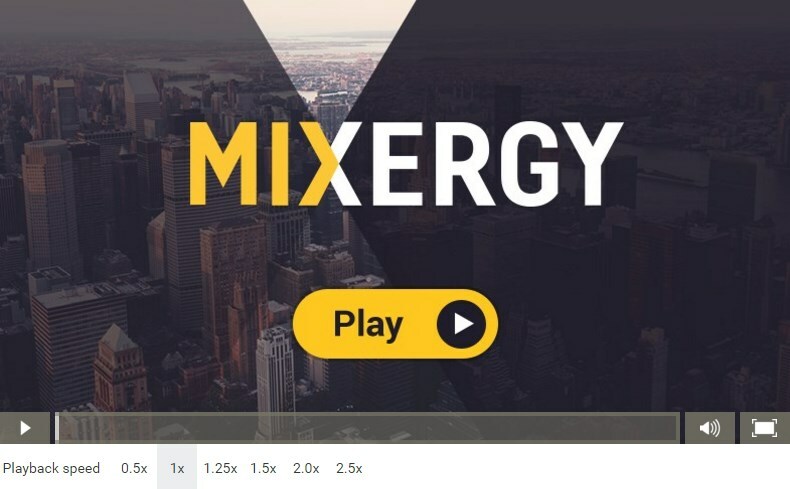 I invited Gurbaksh to Mixergy to talk about how he did it. In this program, you’ll hear how at 16 he got the idea to create ClickAgents, the ad brokerage business. And how he funded it by selling ads before he could even run them. You’ll hear why he sold the business. And how he made his next startup, BlueLithium, profitable within 3 months. You’ll hear why he sold that company to Yahoo! and about his vision for gWallet, his latest startup. Gurbaksh Chahal is currently the founder and CEO of gWallet, a virtual currency platform for social media. He left high school at 16 to form Click Agents, an Internet advertising company, which he sold two years later for $40 million. In January 2004, he launched a second company, BlueLithium – the next generation in Internet advertising. The company was focused on data, optimization, and analytics and became a pioneer of behavioral targeting. On September 4th, 2007, Yahoo! announced that it was acquiring BlueLithium for $300 million in cash. Andrew: This interview is sponsored by WuFoo, where you can create surveys, order forms, contact form, mailing list registrations, buy forms, and so many other forms that you can embed into your website. Check out WuFoo.com, and sign up for free. Within minutes, you’ll have their forms and surveys on your website. It’s also sponsored by Shopify. Check out these three different stores that were created on the Shopify.com platform. If you go to Shopify right now, you’ll be able to create your own store, too. And it’s sponsored by Grasshopper. Need a phone number with extensions? Need a phone number you can add to your website? Need a phone number where you can be reached, no matter where you are in the world? I use Grasshopper, and you can, too. Inexpensive, the virtual phone system that entrepreneurs love, and you can get set up with right now. Check out Grasshopper.com. Here’s the program. Hey, everyone. It’s Andrew Warner, founder of Mixergy.com, Home of the Ambitious Upstart. And today’s guest is a high school dropout, who was made fun of as a child for being the foreign kid a turban. But by the time he was 25, he launched and sold two online advertising companies for a total of over 300 million dollars. He enjoys spending his money. I know. I’ve seen videos of it all day long, as I did research for this interview, like the 7 million dollar penthouse, that he showed off on TV. But he’s also known for giving away money. And a lot of people in the chatroom have been talking about how he was on Fox’s reality TV show, “Secret Millionaire”, where he gave away money. Welcome to Mixergy for the first time. And let me make sure I pronounce your name right. But first, I know can pronounce your company names. Andrew: Click Agents was the first business. Blue Lithium, we all know, is the second business. Today you’re working on G Wallet. I’ve been practicing this with YouTube, and I’m still a little shaky. I should just ask you to say your name. Interviewee: Ah sure. It’s Gurbaksh Chahal, but everybody calls me G, since they can never get that right. So I’ll let you choose whichever one you want. Andrew: couldn’t do it. Well, thank you, G. And we’re going to do this interview as a biography. But before we get into the biography, I have, as I said, seen you really enjoy your money, seen you really enjoy your success. I thought maybe we can start off by talking about what are some of the most fun parts of having built and sold two companies? Andrew: I saw a big bed, with the letter G over it. And I think I saw the same thing on a rug at the entrance of a penthouse, who’s view you showed, and the price you talked about. Andrew: I’m not putting you down for it. I respect it. I love watching the show, but is it just a show? Interviewee: Well, yeah. I mean it’s basically what, you know, that part of the, you know, that show was Hollywood. And Hollywood shows you one part of it. And I would say the only real media interview that I’ve ever done, where I personally enjoyed it, actually saw the, you know, the real side of me, and basically presented it in a non-Hollywood fashion, was when I was on Oprah. And that one really touched where, you know, how I started, what my struggles were, and you know, what, you know, inspiring entrepreneurs should also look at when they’re struggling. So, I think that was probably the most honest way, and everything else, to describe really the glitz and glamor, and what you read in the headlines. And you know, that comes with the territory. Andrew: I saw that. It was a touching piece. You actually got to see your family, or we got to see your family. We got to see pictures of what you looked like as a child. But it did start off with the big penthouse view. Now let me ask you this. I’m a business nerd. I’m not a luxury nerd. So I’m fascinated by strategy. Your audience isn’t necessarily, it’s not mainstream America. Right? They’re not the ones who are going to be installing your ad servers. They’re not the ones who are going to be using you to serve up their ads. They’re not the ones who are going to be installing G Wallet on their systems. Your customer base is internet entrepreneurs. Why court the media this way? Why be out there and show? Why be out there with a show at all? Interviewee: …and also be a part of the pilot. And I signed up with that. I also decided to write a book to inspire. And I think that probably was one of the best things I did as an entrepreneur because that book has gotten worldwide recognition, and has really, you know, gotten the fire out on a lot of entrepreneurs. So, you know, what I’m basically trying to do is that when you kind of look at me as a personality, I’m all about defying the odds. And if I could do it, so can you. And if I can go and resonate that on aspiring entrepreneurs, than I think it helps build the legacy that I’m trying to eventually create. Andrew: All right. Let’s go back in time then, and talk about where you started, because I get a lot of criticism here for interviewing entrepreneurs who got a lot of funding for their businesses, who were set up by advisors, and everyone else, to succeed. And a lot of requests for stories of people who were just trying to make it without any of that. So let’s talk about what you were like before you started the business. Do you come from a rich family? No, right? What was life like back then? Andrew: Can you give me a specific example of a time that you maybe got close to the edge? Where we’re talking about just survival, do you have a story where it felt like almost you weren’t going to as a family? Interviewee: Sure. I think that’s what triggered me to become an entrepreneur. And at 16, I basically, you know, my dad was heavily invested in the stock market. And in 1997, the stock market crashed. And he panicked and sold everything to basically wipe out his net worth to close to zero. And you know, basically he lost everything. And, you know, the entire, I’m with four siblings, so my sisters got other jobs, while they were working in school. And my brother got, you know, a paper route. And here I am, 16, kind of figuring out what to do. And my only job interview that I tried because it was halfway between my house and my high school, was McDonald’s. And obviously, since I looked a certain way, I didn’t quite fit the burger flipper that they were looking for. And then I basically was, you know, looking at the internet, and fell in love with online advertising, and learned, was a really quick learner, and understood one thing that the internet defined. And that was that you could be anything and everything you want on this computer screen. And it doesn’t have to be the stereotype that normally comes with business, you know, 30, 40, 50 years ago. 30, 40, 50 years ago, you needed to be a certain color. You needed to be a certain, you know, education. You needed to have a certain amount of money. You needed to have a certain amount of look. And, you know, the internet’s kind of defined that, because it’s really allowed you to use your brain, use your skill set, and you know, create things pretty much out of nothing. And that’s what I did with my first company. And again, high school dropout, had no idea what business was, learned everything from making mistakes. And that’s partly what my book is about. And you know, a year and a half later, after starting it, I was able to actually have my first break, which was selling my company. Andrew: Why advertising? What got you into that? Interviewee: You know, I looked at everything. And I realized that there’s certain things I can’t do. I can’t create another search engine because I’m not that smart. I’m a programmer. I’m not an engineer. I can’t create an e-commerce website because I don’t have the money to hold the inventory. So the best thing about the advertising business was it was almost like a platform of trading dollars, except you’re using some form of technology to create value. And you know, so it just required me to get advertisers on board, on this new advertising model, and required me to place that media on sites. So it was basically, you know, at least the first phase of business, was me growing up to be a middle man. Interviewee: And once I understood that, that’s where I layered the understanding of technology, and created value that way, and built the business. Andrew: Doesn’t the middle man have to get seen, at some point, by the customers? I mean you were interacting with customers, either on the phone, where they could hear that you were young, or maybe in person, where they could see that you were foreign. Interviewee: You could say that puberty hit me a lot sooner than a lot of people. So I didn’t look like a 16 year old. Interviewee: And, you know, I basically, you know, used that to my advantage. But at the same time, you know, I was an introvert all my life. And I was that type of guy, that especially in high school, if I got up in class, or I got asked to go up in front of class, I would basically, you know, be in an anxiety attack. So I had to learn to overcome that. Now I can go up in an auditorium of thousands of people and give a speech, and enjoy it. Right? So, you can overcome that. And that’s one of the things I did through time, which was put myself out there, and understand the elements of relationships, to understand the elements of delivery of speech, understand the elements of actually getting your message across. Andrew: All right. I want to get into how you made the first sales, but let me ask you this. Why didn’t you change your name? Why didn’t you call yourself Gary Hall, or something a little bit more acceptable, something that you can call up and sound like an American, at least? Interviewee: Well I actually did. I mean, funny you say that. My nickname was Gary Singh. Gary was something that, I don’t know, one of my classmates, or I decided, you know, it was got shorted into from Gerbaksh. And Singh is my middle name. So yeah, and the reason why I kind of created that pseudo personality, at least in my first company, was because, you know, in my, you know, I was a CEO, and I needed a Head of Sales, so I needed to act like both. But I didn’t want people to think I was only one person. So I was able to kind of go ahead and be the sales guy as Gary Singh, and be the CEO as Gerbaksh Chahal. Andrew: [Laughs] All right. And how long did you keep that going? Interviewee: You know, the funny thing is, is that when I started my second company, when we did our launch party for Blue Lithium, and since we’re dealing with advertisers, and the same amount of people, it was in New York, a month after we launched, and we invited a bunch of advertisers and agency relationships. And you know, I went in as Gerbaksh Chahal, the CEO. And one of the guys came up to me and said, “Hey, you know, where’s Gary Singh? You know, I remember doing a lot of business with him, and I’d love to say ‘hi’.” And I just, you know, kind of just smiled and basically said, “Oh, he’s not here.” But I think the legacy of what I created, by that pseudo personality, I guess, kind of went from, you know, still survived, you know, for longer than I expected. Andrew: I’m still living that. I don’t know. I’m still Andrew Warner. I changed my name about ten or so years ago, when I started making sales online, to launch my first company, and haven’t looked back. My wife’s a little upset. We got married recently. She doesn’t want to take on a fake last name, so I’m thinking of going back. But it works, doesn’t it? You saw a different reaction from people. Didn’t you? You noticed it? Interviewee: Well, I mean, I guess, initially you do. I mean, initially you think you do. And initially you think it might make a difference. You know, I’m proud of being Indian. I’m proud of being Punjabi. I’m proud of being Sikh. I’m proud of having a name called Gurbaksh Chahal. And you know, that’s how I introduce myself. And either people accept me for who I am, and what I’m trying to do, or I don’t really need to do business with them. Andrew: All right. OK. So let’s talk, Gerbaksh, about the first sale, and the way that you developed your business, back when you were 16. I read you hired a developer for $10,000. How did you find a developer? Sorry. Andrew: What was the vision that you had for him, before you even hired him? What did you hire him to do? Interviewee: I had told him, I mean, he was a work for hire. It was basically, I told him I will give you, you know, this much money if you produce it. And I’ll give it to you 90 days after I test it out. Interviewee: …90 days after I test it out. Produce an ad server. Andrew: And what was the ad server going to do? Interviewee: It was going to go ahead and be the middle man tracking system between advertisers and publishers. Interviewee: Impressions, clicks. Basic stuff. Andrew: And manage how often an ad is shown? Interviewee: Yeah, delivery, the tracking methods, etc. And I had basically given him the idea that I would pay him 90 days after which I did. And I even paid him more than that. But in those 90 days I had a business up and running and I kind of used that as leverage because I didn’t have $30,000. So I ended up having it after the fact and I took care of him but then I learned another important lesson and that’s that there’s greed in the business world with a lot of people. And three months after that he asked me to say, ‘Give me a third of the company otherwise I’m going to shut you down.’ I kind of played poker face with him and didn’t think he was serious. He ended up shutting me down and I ended up going through a legal process and days of being completely shut down and basically had to restart the entire business six months after I had actually had it up and running. Andrew: With a new platform. Interviewee: With a new platform. With a new technology and it all worked out because a year and two months later I still sold the company for 40 million. Andrew: But you set out to hire this guy with money you didn’t even have. Did you tell him that you don’t have $30,000? Did you tell him that you’re going to earn it at some point in the future and you’ll cover it that way? Interviewee: Yeah, I mean there was an understanding that I was going to test it out. And I actually had business pretty much booked to cover it. I just didn’t have the technology to serve it. Andrew: How’d you get that business booked? Are we talking about Infoseek now? Interviewee: Yeah, yeah. I mean there was initial deals that I basically brokered on the phone that I needed to deliver. Andrew: Can you tell me about how you got those initial deals when you had nothing but a phone? Andrew: Yeah but how do you do it? I was talking to an entrepreneur who said back in the early days all he had was a phone but fax machines were very important. So what he would do is set up different offices at different Kinko’s. He’d tell them, ‘Look. Give me the fax numbers. You will be my New York office, you’ll be my LA office and I’ll pretend that I’ve got a big network of companies.’ What was your story? Interviewee: I think perception’s reality. I mean, I never let anyone know I was 16 or I was operating for the first six months out of my bedroom. I know that there’s a huge stereotype that exists in the business world and I wasn’t going to go and let that interfere with it. So I kind of let my…I guess I got to a point where I got enough good at it where it was more about the content and what I was going to deliver rather than with the normal stereotypes we get consumed with. Andrew: So then what was the first deal that you got and how did you get it? Andrew: Okay. And then how did you know where to place those ads to get them the traffic they were looking for? Interviewee: It’s kind of like the chicken and the egg, you know? You have someone that’s willing to give you money then you got to go ahead and give it to someone and you have to be that middle man. So you need the technology to be the middle man and you need to start cold calling all the other players where you can deliver it. And I was able to do that. A lot of restless nights but I learned a lot. I guess I learned the art of negotiation through that way too. Andrew: Can you give me a sense of where you were placing them at first? What kind of sites? Interviewee: It was a lot of the long tail sites. I mean, sites were being created…those were the ones that could slap on a piece of html code and kind of deliver stuff pretty quickly. So I really don’t remember because it’s been…it’s kind of crazy, 11 years. But you know it was basically a new generation of internet sites that were coming up. Andrew: Okay. And what were your margins? I know you obviously wouldn’t remember the exact numbers but give me a sense of it. Interviewee: It was about 50%. Andrew: 50%? Okay. So for every dollar you were getting from Infoseek you were only paying out 50 cents to the website that was running those ads. Andrew: Those are pretty good margins. Okay. What was the next milestone after Infoseek? Interviewee: Well it was basically half way into it…I mean, I realized I needed to drop out. So six months after the, you know, the restart you can say, I talked to my parents and dropped out of high school officially. Interviewee: And that’s when I realized, ‘All right. I need to get serious.’ And while I had six digits worth of money in my bank account I chose to invest every single dollar back into the company and hired people and actually had a real company. Had a real office, employees, put up ads on classified sections for hire. Basically learned anything and everything from the 101 of entrepreneurship. Andrew: And you got no outside funding for the whole time, for the short time that you were running this business? Andrew: Why did you ever talk to investors at the time? Interviewee: Because that’s what everybody did. Every entrepreneur kind of follows familiar footsteps so that’s one of the milestones you go through and people turned me down. And it’s okay. The weird thing is they turned me down not knowing I was 17 or 18. They turned me down because they felt that I made too much money and that wasn’t part of the Wall Street pattern of success at that time. Now had they known I was that age I don’t think I would have gotten the meeting. Andrew: Okay. We’re going to talk about the millions that you sold it for and what happened next but can you take me to the first million. What was it like when you earned that first million dollars? Interviewee: You know, I didn’t really go ahead and understand it so when my companies were making it I didn’t feel it because I was investing every single dollar back into employees and paying taxes and doing the normal stuff. So I didn’t enjoy my money until after I sold my company. And then a year after it, after I had left the company, I kind of said, ‘Wow. I kind of have money.’ And the first thing I did is I kind of looked at where I wanted to spend it. So I paid off my parent’s mortgage, bought them new cars. And then I realized, ‘Okay. I’m 19, 20,’ whatever age I was at the time, I kind of said, ‘Hey, I’ve always wanted to have a Lamborghini.’ And I bought a Lamborghini. Went through that. But it still never got to me because I guess my parents always…you read about all these crazy stories out in Hollywood and people spending millions of dollars and you see all these music videos of people just throwing away money. But I never got…I mean, there’s a material, intrinsic way I was raised where I could live that lifestyle. So any time I even spend like serious money, whether it was on a car, I would have buyer’s remorse. And I would just basically feel like, ‘Oh my God! Did I really just do this?’ So I’ve trained myself to kind of enjoy it a little bit more now. But for the longest time I would always have this buyer’s remorse in my head of never overdoing it because I didn’t want to be that stamp of someone that made it then lost it because they got sidetracked. Andrew: What about this? For me I wasn’t dating much while I was building my first company. I didn’t date at all in high school. I didn’t have a turban on my head. I can only imagine how much worse it would have been for me to try to date with a turban in New York. Actually, there are a lot. But once I had the opportunity I went out. And I dated as many girls as I could. I flew to LA, I had fun. Traveled. Did you get to do that too? Was that a big part of it for you too? Interviewee: Because I think I’ve definitely made up for that in many ways. Interviewee: I get it. In all honesty, I’ll just say I keep my personal life…I learned from experience to keep it very private. The only thing I will say is that I do have the luxury, I’ve travelled everywhere in the world. I’m single. I enjoy being single. And I’ve made up for lost time in many ways whether that’s through my freedom to travel, meet great people and be able to do anything that a 27 year old single guy wants to do. Andrew: Okay. All right. And that’s how old you are now. Not back when we’re in the story, right? Not back when you sold the first business? Interviewee: Yeah, yeah. I was 18 when I sold the business. Andrew: Okay. Why did you sell then? Interviewee: I’m glad I did. I mean I think a lot of people have trouble letting go of their businesses but it was the right opportunity and I’m glad I did it because I learned a lot from it. It helped cultivate and shape my next venture which was Blue Lithium and that ended up becoming something that was almost ten times as bigger. Andrew: But was it that you saw you were hitting the height? Did you feel that you were in the business for too long? Did you feel that you had an opportunity to sell to somebody who was a willing buyer? Value Click was out there trying to buy as many businesses as possible. What was the motivation? Interviewee: It was a little bit of both. It was a little bit of both. And if you have someone that’s allowing you to come in and acquire you for a lot of money and then you’re 18 and you don’t have a degree and you realize this is your entry into the corporate world and how you can shape yourself and the experiences that you see in it, why not? I think it’s kind of like a dream opportunity and it was kind of my acceleration into MBA school. Andrew: I see. By the way, a few people in the audience are saying, ‘Nice try, Andrew.’ Or, ‘Don’t make him feel bad.’ I thought we were being very open about the numbers so I figured let’s ask about relationships. Did you feel that I was pushing a little too far or is it just Eddie in the audience? Interviewee: No, no, no. I mean, just on the personal part I’m just a very private person. I mean, I have a lot of fun and I enjoy my weekends and if you read my Facebook status updates or twitter updates I share some of those experiences with the world. But what I end up doing, I kind of realized that whatever…there’s probably five people to me in my friends’ circle that matter and there’s my family that matter and I’d rather keep whatever I do with them and not blast it to the entire world. So I didn’t take it with any offense. Interviewee: Not at all. Not at all. Andrew: All right. Eddie in the audience is actually feeling happier that I addressed this instead of leaving it out. Thank you, Eddie. I’m here to please you, my friend. I don’t even know who Eddie is but he’s very loud in the audience. He’s apparently a very, very big fan of yours. He wants me to make sure I get this interview right because he’s such a big fan. And I will. I will. Okay, so you sold the business. You decided to go back into the ad business. Where did the next idea come from? Interviewee: Well I wanted to do the bigger meaner version of it. I mean, one of the things I realized when I sold Quick Agents was is there’s big companies there’s a lot of latency. People don’t like doing a lot of stuff. People get lazy. Bureaucracy kicks in. And that’s creates opportunity. That’s why start ups exist. Start ups exist to do things faster and to execute faster. And that’s what exactly I ended up doing is that I wanted to do so much at Value Click and I couldn’t for two reasons. Number one, I wasn’t the CEO any more. Number two, if I wanted to do it myself I was still under this non-compete. So I was able to go ahead and address the non-compete issue after I sold it. I mean, after I lived through it three years and basically looked at that as an opportunity to get back in the game and do it bigger, quicker. Andrew: Okay. All right. And what was the idea for Blue Lithium originally? Interviewee: It was the same thing as my prior company except it had a behavioral twist. It was basically to say, based on your likes and dislikes let’s show you ads that are relevant to you. Interviewee: …prior company, except they had a behavioral twist. It was basically to say, based on your likes and dislikes, let’s show you ads that are relevant to you. Andrew: OK, by the way, they’re asking me to say that ValueClicks sued him too, they’re saying. All right, so there was an issue apparently around NonCompete, right, of ValueClick? Interviewee: Well, I think when they realized that I got back from the gain, and again it’s a common interest [??] act with a customer with another company. But the second time around I think there was an issue, there was a bad blood issue in terms of them not seeing an entrepreneur create another company and become a competitor of theirs. And the number one thing, if I ever get into politics in America, one thing that I would change is that it’s too easy to sue people, and that it comes with the territory. It’s kind of sad, but when I got my first lawsuit, I couldn’t sleep that night. Now I look at lawsuits as a way of life. It’s sad but it’s true. Once you get to a certain level, lawsuits are kind of a secondary business tactic. When you’re first going through it, you have trouble swallowing food. But it’s just a way of life, and you have to deal with it. As long as you can pass the right test, hopefully you’ll prevail. Andrew: OK. BlueLithium was profitable within three months. Why? Interviewee: Even though I had the money, I didn’t spend it. I didn’t need to. I mean, this right here, and the sweat equity that you put in, is al the energy you need. I don’t believe in businesses that need millions of dollars to start. I think they start off with the precedent for failure if they do that. I think a lot of it starts with getting traction, putting yourself out there, and leveraging whatever relationships you do have to make it happen. Andrew: OK. By the way, you mentioned earlier that you sold ClickAgents to ValueClick for 40 million dollars. At the time, the press release was for 5.3 million shares valued at 22.2 million. How did it end up being 40 million? Interviewee: Well, when we signed the deal, the stock price was at $7.50. By the time it got closed, it dropped. So, the press release you’re seeing is based on the close of the deal. Interviewee: Middle of the week. Andrew: …from the time you signed it to the time it closed, the stock dropped almost half? Andrew: How long did you have to hold onto those shares before you could sell them? Interviewee: Since I was still an executive, if you’re working as an executive, and as large as a stake you have, you have to go ahead, and you have the window of periods you can sell, two or three days out of a quarter, and they’re only applicable when they’re quarterly earnings are over. And everybody else has the opportunity to sell or buy, and then you can go ahead and sell. So, I think it’s a six month holding period, and then after that you get these small windows of opportunity. Andrew: OK, fair to say that in the end, it ended up being, and don’t. Listen, I’m a big fan, and I want to make sure when I come with these questions, you understand, I’m an entrepreneur here who loves business and wants to dig in. I’m not here to say, ‘it wasn’t 40 million, it was 2.2.’ I just want to understand what happened. Andrew: Fair to say that by the time you sold it was even less than 22.2? Interviewee: No, no. But I don’t want to get exactly on the numbers, but it was like it was fairly between those two numbers. Andrew: Do you remember the day when you saw the numbers in your bank account, when you actually got to see that it was there? That it was over a million in your account, nobody has control over it but you? Interviewee: Yeah. Yeah, yeah, and that’s, but for some reason, a lot of people ask me this question. It didn’t make a big deal to me. As for me, it wasn’t like, OK, great, let’s go shopping. Or it wasn’t, great, let’s go spend it. It was like, OK, it’s a way of keeping score. And that was it. Interviewee: It was a good starting point. Andrew: Great starting point, for a lot of people, that’s an ideal end point. Which is why it’s so impressive that you went on to start a second successful business. 2004, you started it. By 2007, I’m looking up here at my notes, it did 100 million dollars in revenue. Interviewee: Run rate. It was 100 million run rate. Andrew: What’s the difference between a run rate and revenue? Interviewee: Well, there’s 12 months out of the year. So, if you do 8 million dollars or something like that in a month, it’s on a run rate to do 100 million for the year. Andrew: Ah, I see, so run rate extrapolates to a, it is used to extrapolate to the year. Interesting. OK, all right, so how did you get the big customers there to come in on board in the beginning? Interviewee: ClickAgents was 34 employees, BlueLithium grew to about 175 worldwide. So, it was actually my first worldwide company, so we had offices in Europe, etc. So, when you hire people that grow with the company and skill with the company, it’s a different dimension, versus doing it all on your own. Andrew: OK, that’s because you get to train them differently, because you get to bring them on board with the culture of the business? Interviewee: No, you have more people doing more stuff, and you have the right people doing it, so it wasn’t just me doing 99% of the work. It was basically a lot of people that shared the same love of the game and sweat equity and with that, we were able to grow a global presence and attract global publishers and global advertisers together. Andrew: OK, so you sold that one in 2007 for 300 million dollars to Yahoo!? Andrew: Why, why did you sell it at that point rather than trying to make it even bigger? Interviewee: I actually went with my board four or five months before. I kind of felt the consolidation happenings it faced, and I thought it was the right time to do a market check, and realize that we at least want to go ahead and see what the right opportunity would be like if you wanted to pursue it. Andrew: Do you think, and I know the markets change drastically, but do you think that somebody today with the cell phone and the willingness to hustle, can put together buyers and sellers the way you did back when you were 16 years old? Can build a business the way that you did back at ClickAgents, or are those times long gone? Interviewee: Yes, the internet is only what, 12, 13 years old. And, I mean, if you look at all these mega trends that keep showing up every few years. Social media has taken off in two years, right? It didn’t exist, pretty much, three years ago. Look at Twitter, it’s a year and a half old, and it’s just taken off. Facebook has kind of transformed, I mean. Social gaming, the business that GWallet’s in, was non-existent a year ago. So, there’s all these businesses that end up happening, and they continue to evolve as the internet evolves. And I’m not saying, I mean, if you’re asking me, can you put another ad network in the same basic concept as I did 11 years ago, I don’t know. Probably not, because the market’s changed so much. But what I am saying is that, can you build another great business on the internet, or is all the ideas gone? The internet is just in the beginning phase. I mean, it’s going to continue to evolve, and there’s going to be new opportunities that come up every day. Andrew: OK. All right, and the current company is Gwallet, and from what I see, a lot of the companies that you work with are some of these young hustlers who are doing really well. Guys that don’t have much more than just the desire and the willingness to work, right? Have you seen that, or are you working with bigger, with bigger… Well, actually, let’s talk about Gwallet is. It’s a virtual currency platform for social media, right? Interviewee: Well, it’s basically if you are on Facebook, you play a game like FarmVille, then you probably need to buy certain special items. And in order to buy those special items, you use a platform like Gwallet, in which we will go ahead and allow you to buy those items through direct payment or through advertising. So you’ll maybe sign up for a NetFlix offer or watch a movie trailer, and you watch a movie trailer, you’ll get 5 points in the game for you to go ahead and buy a special currency. So, it’s an alternative payment method using advertising for virtual currency. Andrew: OK, I’m seeing a few questions from the audience. Guys, I’m going to get to your questions, feel free to keep typing them in. If you see me writing them down, it’s me writing your questions to make sure to come back to that. Why did you get into virtual currency? Interviewee: Very big industry, it’s growing. It’s like the Wild, Wild West. I saw an opportunity where people weren’t doing it right, and recognized a way of doing it right. Andrew: What were they doing wrong? Interviewee: The market was growing very very quick. And people were putting advertising offers that were probably too shady, too scammy, for consumers. And I kind of looked at that saying, ‘if there’s over 200, 300 million people playing these social games, and they’re spending hours and hours a day, this is a great medium for advertisers to want to be in, because this is the type of engagement you would probably get on TV.’ Yeah, so if you can bring, leverage my relationships of the ad world inside this vertical, then it’s a slam dunk. Interviewee: Öit’s a slam dunk. And so we launched it in September. Two months later we raised, 12.5 million dollars from Allen [inaudible] Partners, Trinity Ventures, even Stanford University. And we’re close possibly and we’re gonna continue to grow and hopefully make this bigger than the last two. Andrew: Okay, I want to keep talking about gWallet but PRZ in the audience is asking me to circle back and talk about Blue Lithium, apparently, says ‘ask him about the company he bought when starting Blue Lithium. It’s a great story.’ So what’s the great story about the company you bought when starting Blue Lithium? Do you know what he’s talking about? Interviewee: Sure. Basically one of the golden rules that I see in the, entrepreneurship role is that you gotta hire rock stars, and if you hire the rock stars that will either work with sweat equity or will work with a goal in mind, they will basically work with you to that, and grow. I looked for a technology company that could serve ads, similar to my first company in Blue Lithium, and when I looked around, I found a company is Belarus and when I went down there, I kind of, you know looked at their operation and there was a bunch of, not so great apartments with computer’s next to each other, programming and I love that. I love the sweat equity and the energy, and the compassion around the team and I asked the principles, ‘hey, how much do you want for this?’ and they said, ‘hey, you’ll have anything, we’ll work for you like slaves, for a half million dollars.’ And I basically said, ‘how about I give you more?’ And I basically sold them on the vision, that if he took a stake in my company, for giving me [inaudible] they would basically, you know, at the end of the day, make more than the half million dollars. Three and a half years later, that half million dollar’s stake in equity turned into fifteen million dollars for them. So, it was well deserved for them. Andrew: Wow, alright I’m glad I circled back and asked. Alright, let’s see, what do I have here in my notes about gWallet to talk about. gWallet Ventures, what is that and why did you launch it? Interviewee: Well we raised twelve and a half million. We’re probably not going to use it. So, we needed to figure a way to use it if we want to, so why not, put it back into our, social gaming publishers that we were already working with. This was a vertical where it doesn’t require that much capital. You can develop a Farmville type game for very little money, and if you have a hit, it can make a lot of money. If you look at Zinga, which is the biggest company in social gaming, they’re worth 2.6 billion dollars, estimated right now. And that’s a company that’s, been around for a year, year and a half only. So it’s created that much value. So we kind of figured let’s try to invest in the next Zingas, that can go ahead, we can work with and have the team and acrament to have hits like that. Andrew: Why did you raise money? Why didn’t you just fund it yourself? Andrew SG from the audience is asking. Andrew: And have they done that, do you have an example of someone who invested money in either Blue Lithium or gWallet who helped you out, and did something to the business? Interviewee: Well the Blue Lithium raise was, more or less my maturation as an entrepreneur, by getting outside capital and you know, outside [inaudible] like that, and this time around, yeah, I mean, I have a very active work, I have people that, recognize that if I shoot an email and I want to get in front of one person, we’re one degree of separation away from them, soÖ. Andrew: Do you have an example of how they did that, that you can share with us? Interviewee: Sure, I mean, it’s kind of, if I wanted to get in touch withÖ. Interviewee: touch with – I guess a recent example is one of the former MySpace founders just bought a company called Mind Jolt yesterday. We’d like to get in front of him. I shot an email out. I got an email back from one of my board members saying, “Give me till Monday and you’ll have an intro.” When you have that much type of connection and that much – a rolodex – it is worth it. Because they’re providing the introduction but they’re also going to provide the guidance as well as the value equation that comes with it. It’s a lot different than just getting money to have money. Andrew: A few people in the audience are noticing that there are chimes going off in the background as we’re doing this interview, it’s because we’re doing it over Skype, you’re on your computer, I’m on mine. And am I right that those are from email from outlook? Interviewee: Yah, those are mine and..
Andrew: Ahh, you might as well keep them going. We’re almost at the end of the interview anyway. Andrew: But the question that somebody in the audience brought up that I’ve got to ask is how do you work with the noise coming up all the time. With the chimes coming up as your doing your work or as your on the phone. Interviewee: Ohh, it helps me multi-task. I’m crazy. I like to have enough things in place. So, I have a BlackBerry. I have an iPhone. I have the laptop I’m on. I have a phone right here. And sometimes all four of them will go off at the same time. Andrew: So if we were on the phone and not on Skype, you might be, as we’re talking, hearing one of those chimes, answering email, maybe your BlackBerry goes off – you respond to that. Interviewee: Yah. I mean it’s multitasking. You get used to it. Andrew: Rock on for Skype I’m glad we’re doing it on Skype. Alright, let’s see what else we’ve got here. Okay, here’s a question that this guy BizFan20 in the audience kept asking me to ask you over and over and over agin. He’s asking for tips for cold-calling. So here’s a guy, in his teens, making all kinds of phone calls to big companies, actually landing big deals and building a big company off of those. I guess he wants to do something like that. How does he do it? Andrew: Like what? What has somebody done with you or what have you observed that really works? Interviewee: I think the best way to get them done is cold calls work in certain environments, not all. So the best way to get an introduction is just to do it through either email or get it through someone else so it’s actually a warm call. As soon as you do a cold call, you don’t know at what wrong time you might be entering in. You might kill your opportunity. Email is less intrusive. And secondly, if you go in with a warm introduction, then you’re all game for it. And, you know, the master of the cold caller – it’s difficult to be. You’re dealing with so many variables that will go against you. Andrew: Alright, along the same lines: what advice to you have to entrepreneurs who are trying to build a successful business. Interviewee: Never give up. Never let failure be an option. Look at a clear path to execution. One key thing is, don’t think you have a revolutionary idea – that’s just the starting point. 1%. 99% is all execution. Go out, and get it done. And get it done masterfully. Andrew: Okay, before I ask you my last question, I gotta ask you this: compared to Oprah, am I at least number two behind Oprah as an interviewer? Am I number three? What do you think? Interviewee: It’s definitely a unique experience. Andrew: It’s definitely a unique experience. Alright, the last question is: can we see the office? Most people are downloading this and listing just to the audio but if anyone is watching the video I’d love to give them something they couldn’t get if they were just listening. Even if it’s just a little bit. Interviewee: Well, this is my private office. You can see that it’s pretty simple but I do have a somewhat of a nice view. Andrew: Yah. And that’s where you work. What city is that in? Andrew: Alright, well thanks for doing the interview. I really appreciate it. It’s great to meet you and maybe next time the interview will beat Oprah’s. Guys, in the comments, tell me if you even think I have a chance at beating Oprah’s interview. Thanks.